The Obanikoro, Lagos Mainland office of popular fashion designer known as Vivid Imagination was completely razed by fire on Saturday, February 10, 2018. It was learnt that the inferno caused by a power surge started at about 2:00 am and continued for several hours before the arrival of rescue officers attached to the Lagos State Fire Service who then put out the fire. 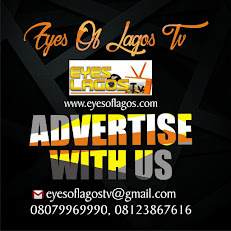 According to Eyes Of Lagos reports, the fire gutted the entire store which is home to the company and client’s fabrics, ready-to-be-delivered outfits, shoes, machine equipments and other accessories. Commenting on the incident, the Managing Director, Godwin Mekwuye, said: “We wish to announce that there was a fire incident at our company that vastly affected our store and factory. “The damage done by this incident was phenomenal because it affected over thirty years of the brand’s history and memories as well as hundreds of millions naira worth of goods and equipment. See more photos of the gutted building below.